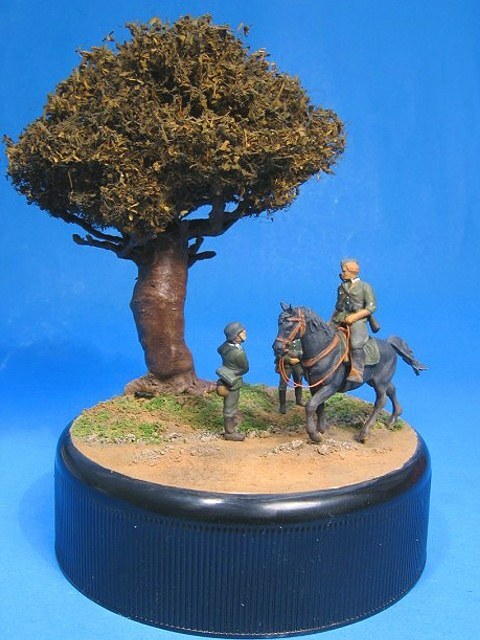 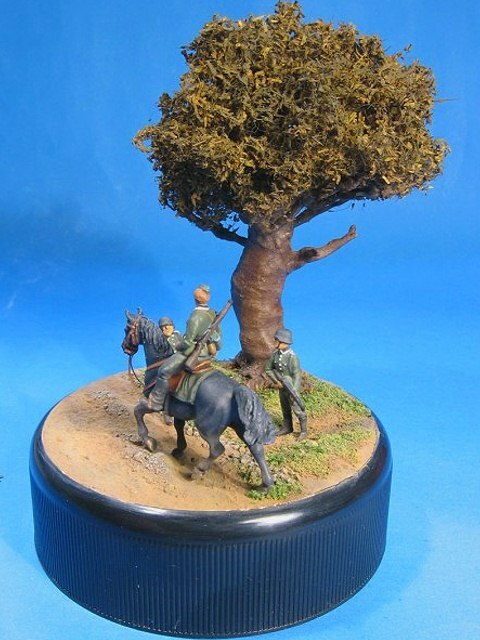 "German Officers - France 1940"
The horse and the cavalry man is from Revell's German Artillery set, the guys on foot are from Airfix German Reconnaissance Set and they were painted using Humbrol 86, 96 and 148, 186 and 62 for the skin tone. 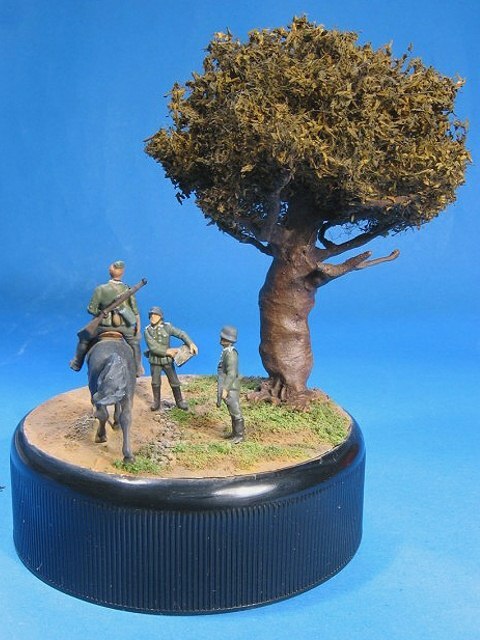 The tree was made of wire, plaster and covered with parsley mounted on a coffee jar lid. 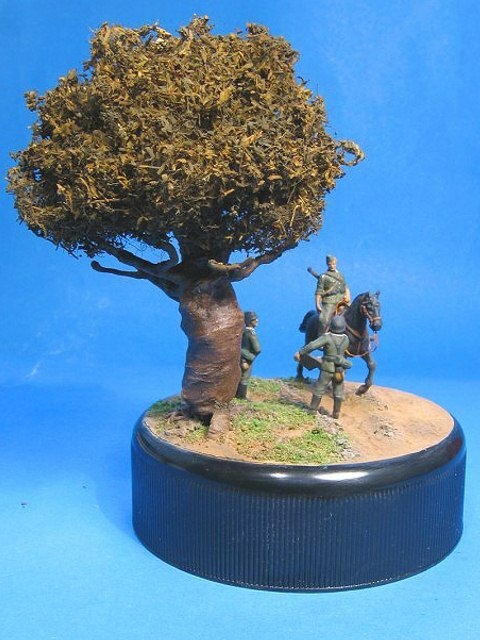 This was a very fun project with loads of mistakes which lead to putting the figures in oven-cleaner some times but in the end it all turned out according to my expectations.